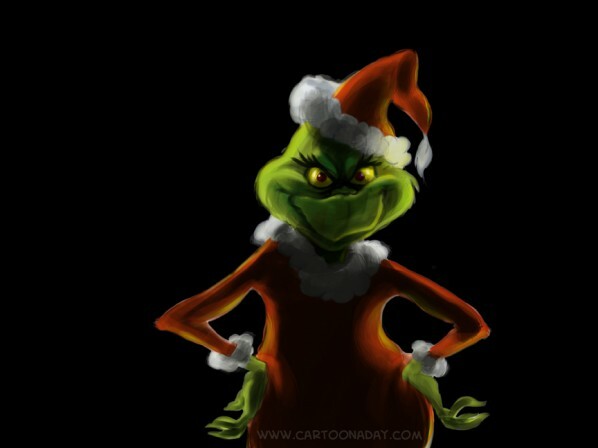 10 Days Til Christmas and I’m Still a Grinch! Here it is, December 15th and I am still not in the spirit of the holidays. And that says a ton about how I am doing right now. 2014 was such a difficult year filled with so many losses. Christmas has always been my favorite time of the year but Christmas also represents the end of a year and this year was filled with endings that came unexpectedly and repeatedly, each loss more intense than the one before. Yes, I am depressed. That’s obvious. You’d expect that with a year so terrible as this has been I’d be eager for it to end and a new year could start, fresh and new. I suppose that means that I am not yet ready to move forward without those people whose lives were so integral to mine, whose presence is no longer tangible they are no longer always on the ready to step up and lend a helping hand or a listening ear or a shoulder for my tears to pool upon. Gina, Brian, Brendan, Dominic and Dad… I miss you all so much! Christmas. It’s difficult this year. Hey Memee, I can relate to this too! I love Christmas and up until yesterday night I was thrilled to celebrate it. However, with relationship issues, family struggles and a bummed out dad….The happy part of christmas has faded! I really hope to get back in the spirit… face my demons and make it a memorable night. If only I didn’t have to worry about working bright and early the 25th… Keep your head up girl! You’ve got a bright year ahead although it may be difficult to accept! Positivity will keep you strong! Keep posting, communicating and getting feedback! We are here for you day in & day out!